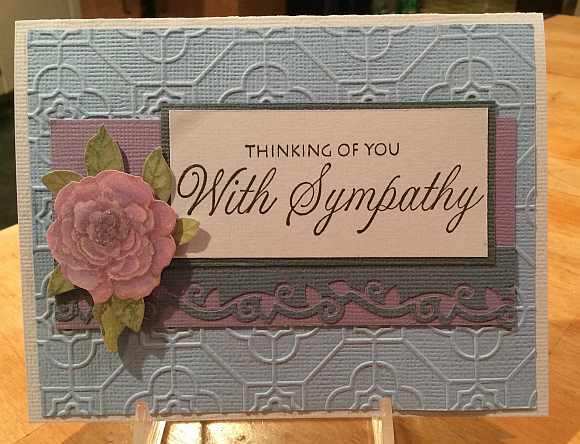 For this card I colored the image with Zig Clean Color markers and blended the colors with a water brush. I chose Mojo Monday Sketch #440 to showcase the violets on the bookplate die-cut. I wrapped the background with some natural colored twine to bring out the light color of the trim in the image, tying it all together visually (so to speak!). Thanks for visiting. Just a quick post of a card I made with some more images I colored during Day 4 for The Daily Marker 30 Day Coloring Challenge. The Freshly Made Sketches sketch #176 was inspiration for this card. 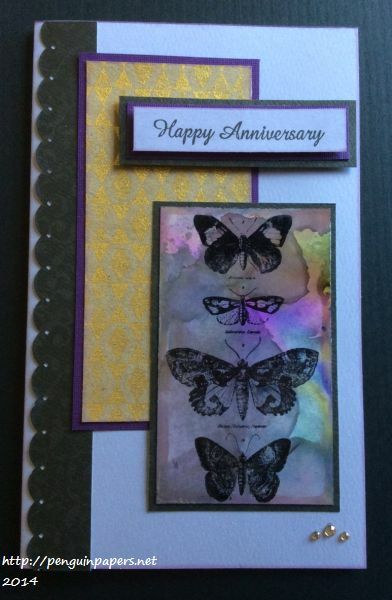 The stars were leftovers from a diecut I used on a previous card. Nothing wasted! 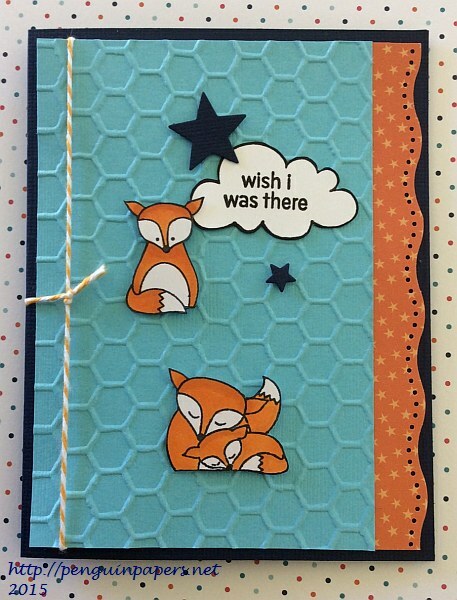 I colored the foxes with Copics and popped up the foxes and stars with dimensional adhesive. This sentiment is perfect for Operation Write Home for a hero to send home. Thanks for visiting. As I’ve made quite obvious in the naming of this post, I do not speak French! But that was the attempt from someone with a Spanish minor! 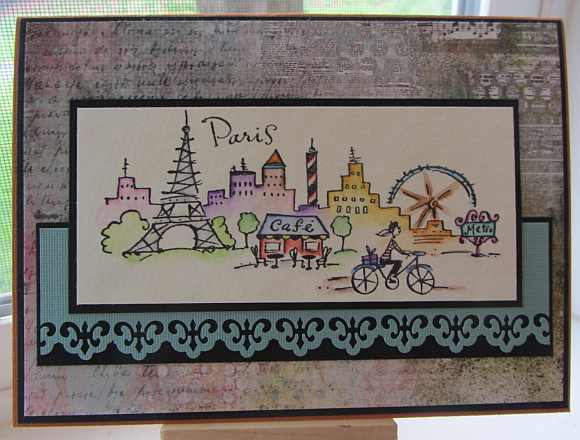 I stamped this image from Penny Black and then colored it with watercolor pencils and a water brush. I used Sketch #137 from Freshly Made Sketches, which was perfect for this long image. Thanks for stopping by today. Hello, my bloghopping friends! It is time again for the annual Operation Write Home Memorial Day Bloghop! I’m very happy to report that this is my third year participating as a blogger for this event. There are lots of blogs to visit. Please be sure to leave a comment at each one to add to the fun. If you scroll down, you will see a little blog candy for leaving a comment here as well. 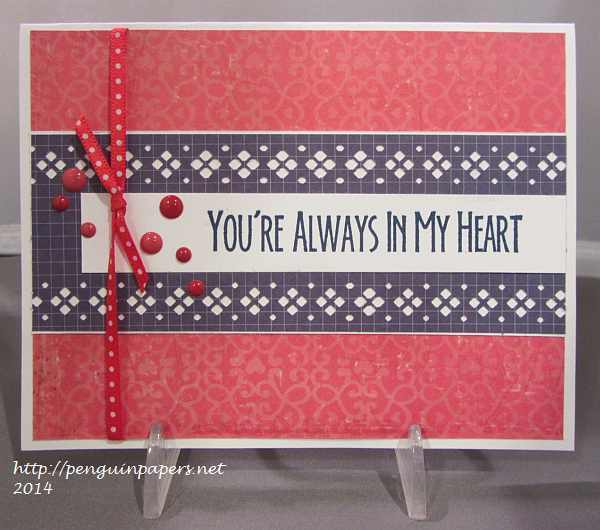 I made this “love” card using the versatile sketch: Operation Write Home Sketch #165. I stretched it a little bit so it would be appropriate for a male or female recipient with a red, white and blue color scheme. Thanks for visiting today! To return to the main OWH bloghop site, please click on the banner above. 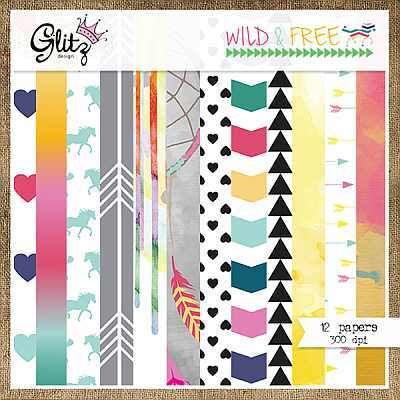 For one lucky visitor leaving a comment on this post, I will select (via random.org) a winner of a 6X6″ Glitz paper pad (“Wild & Free”), pictured below. I will notify the winner on Tuesday, May 27th! Good luck and happy hopping!